The entrance door is the face of the house. It is also an important place to create an outstanding first impression of the house, and the amount of security offered by the door depends on the type and design of the door you have chosen to be installed. Though the entrance door has to look great for a remarkable appearance of the home, the function and safety of the door is an important point of consider too. In this ideabook, let us see how to choose a great looking entrance door while keeping it safe and secure. 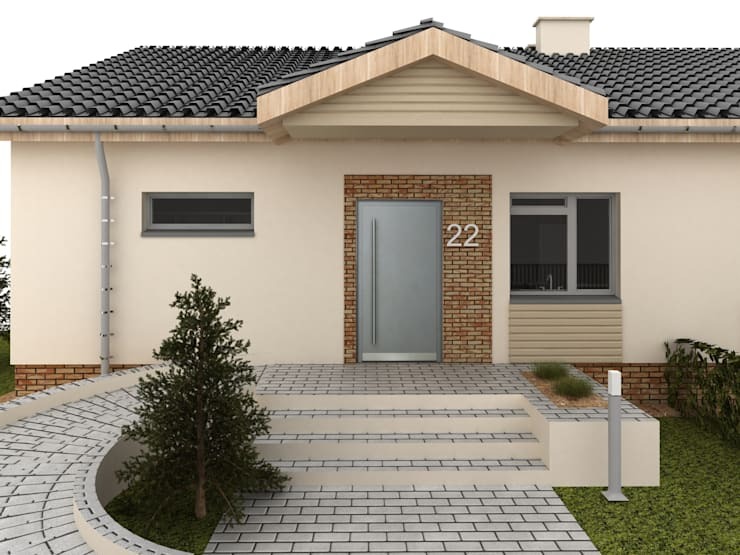 The entrance door is the place to decide the first impression of the facade of the house. After all it is important to choose the door that blends well with the exteriors and the ambiance of the house. 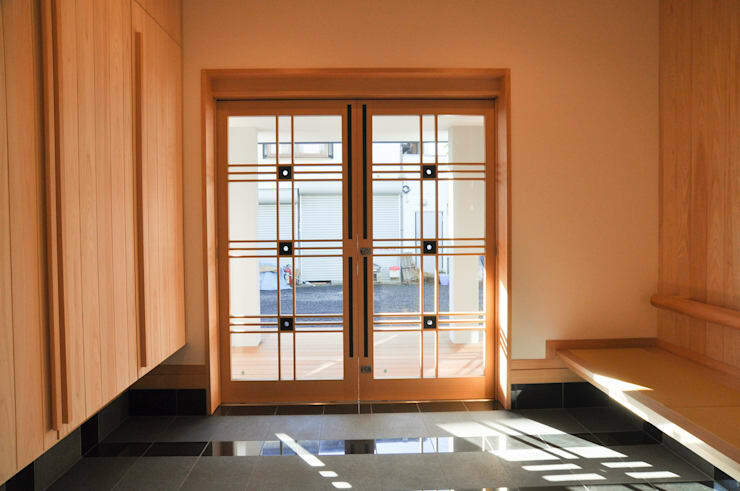 Here is an entrance where the wooden doors handled by FUDO are arranged. 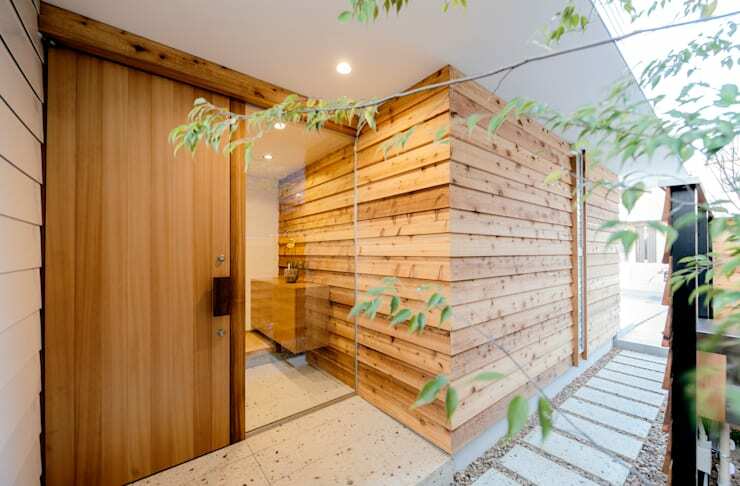 A simple wooden door with straight lines similar to the wooden texture of the outer wall harmonizes smoothly to the exterior of the house and creates a natural feel. Wooden doors are one of the popular designs in recent years. They are easy to customize because wood is easy to process, and also has a texture with warmth that will adapt to various outer wall materials without seamlessly. Here are 7 unique front door designs for your home. There are three types of opening / closing methods of entrance doors, which are roughly divided into single opening type , double opening type , sliding door type . 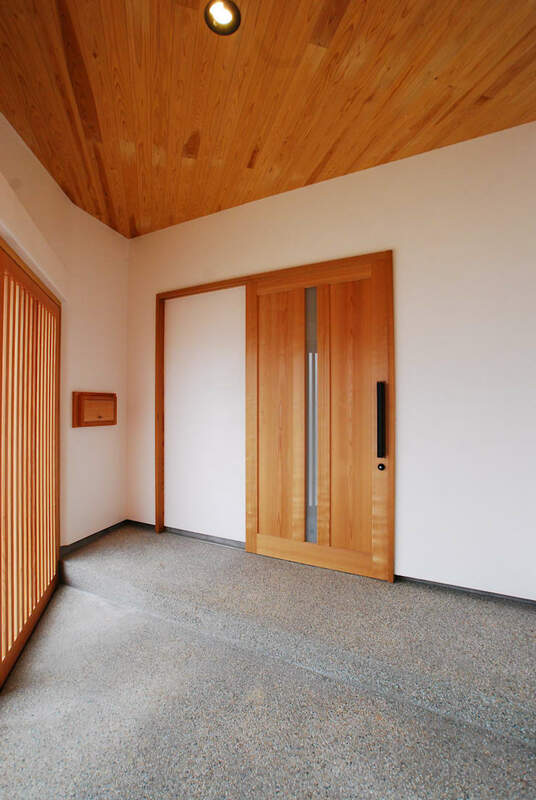 This is an entrance which adopted a sliding door style and produced a pure Japanese style dwelling. In the sliding door type which has disadvantages in terms of being airtight, you can fully utilize the exterior area while covering the disadvantage by the latticed doors as shown here, creating a double entrance. Consideration on what type of door you want to install is necessary because there are advantages and disadvantages of each type of opening method, and you should select what works best for you. Here are 12 terrific sliding doors that slam with style. What is a double-opening door? This is an entrance which adopted a double-opening style. 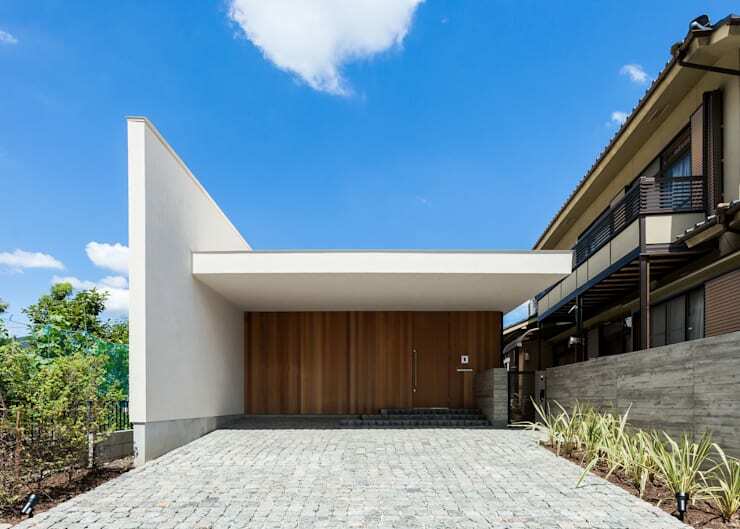 This wide double opening door located in the center of the house greets visitors brightly with a spacious impression. It is an advantage that you can open and close like a gate because you can open 2 doors. Although it is not feasible in small apartments and house with a space constraint, since when the opening becomes large, a lot of space tends to get wasted behind the door panels. It is widely adopted in large residential houses and two-family houses which have ample space. Here are 11 front doors with a bold welcome. After choosing the entrance door design and materials, the next is color selection. You can choose trending color options that blend well with the exteriors of the house either by matching them perfectly of complementing by adding a vivid contrast with the outer walls. The contrast of too strong complementary color is eye-catching and that may be a cause of concern from the security point of view too, so you need to have a good sense of balance in order to create a good looking yet not too striking entrance. If you feel confused, you could consult a professional color coordinator or designer as well. 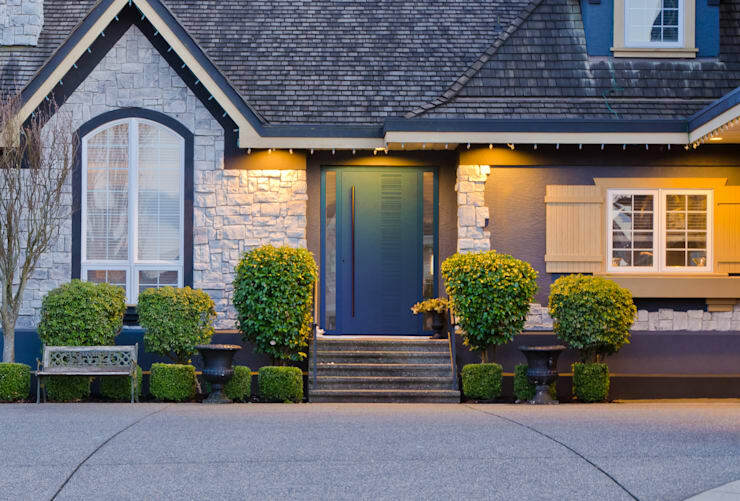 Here are 8 diverse front door colors you'd never think to try. Choosing something excellent for the safety of your house and your family is an important thing to consider while getting the main door of the house installed. Many people switch to a door with high crime prevention facility at the time of remodeling. What is also superior in crime prevention is the one with a complicated key structure, and two keys such as smart control keys, which further have a lock function. Those houses that have locks with multiple keys installed at the entrance are better in security, and it is very important if you have a house on the road side. Here are 15 ideas to create an enchanting entrance to your home. Taking the long-term maintenance frequency into account, it is important to get the main door of the house checked and maintained routinely and regularly. From the beginning it is a good idea to consider the durability and functionality of the door, the frequency of maintenance and frequency of replacement keeping in mind the long-term perspective from the very beginning. Impressed with so many options of front doors? Let us know which type of door works best for you!